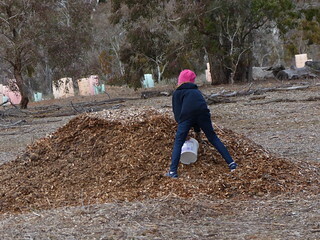 Join the Friends of Mt Majura working party on Sunday on 19 August; help to cut and layer Cootamundra wattle debris around the National Tree Day plantings; use buckets to collect wood chip mulch and spread it over bare sites. When: Sunday 19 August 1pm – 4pm; give as much time as you like. 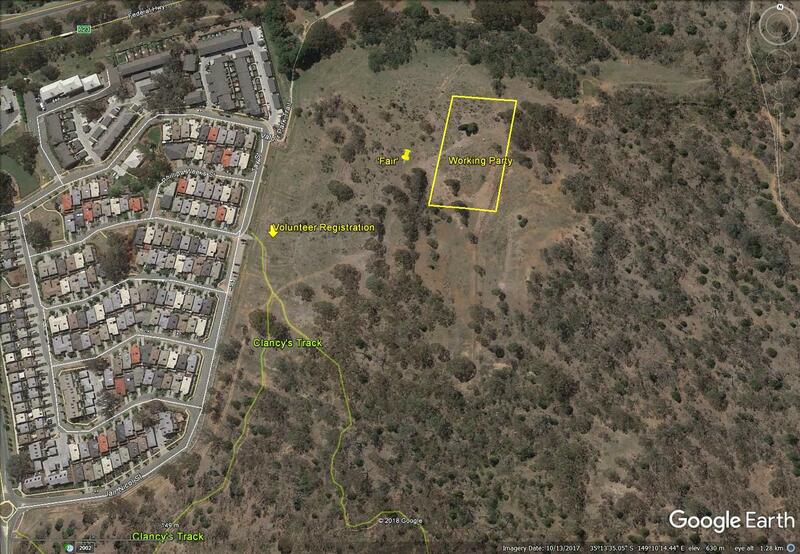 We have a large amount of woody debris deposited at The Fair from the removal of Cootamundra wattles at the northern end of Mt Majura nature reserve. 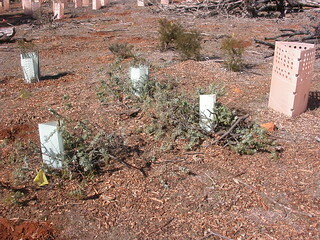 The layering of debris reduces grazing pressure and helps plants to establish; wood chip mulch suppresses weeds, “conditions” the soil and retains moisture.